This book addresses the unique healthcare needs of adults with chronic childhood illnesses. It presents a model of primary and secondary prevention for emerging adulthood―primary prevention in which all young adults are screened for high-risk behaviors and health needs and secondary prevention in which young adults with chronic childhood conditions are optimized through coordinated care, connections to community resources and social/family support. This book is organized in five parts. Part I provides a detailed overview of the health care transition from pediatrics to adult medicine from both a policy and practice perspective. In Part II, the concept of emerging adulthood as a developmental period is explored and strategies for providing improved comprehensive care for this age group are discussed. 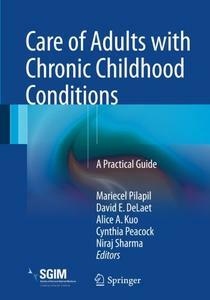 Part III reviews specific chronic childhood conditions, such as attention-deficit/hyperactivity disorder, autism, cystic fibrosis, and diabetes mellitus, and offers clinical cases and summary reports that can be used as a quick guides to each condition. In Part IV, additional clinical considerations that are not necessarily condition-specific but are highly relevant to the care of young adults with chronic childhood conditions are examined. Part V describes the socio-legal issues involved in caring for this population. Care of Adults with Chronic Childhood Conditions provides primary care providers with a new framework for the care of young adults and identifies opportunities to influence patient health outcomes over a life trajectory.